Welcome Home! This beautiful ranch home is nestled in a quiet cul-de-sac and backs to open space!! This home has a wonderful open floorplan concept and is perfect for entertaining. The kitchen includes slab granite countertops, lots of cabinets and new stainless steel appliances to include a 5-burner gas range! New carpet and designer paint colors throughout will welcome all guests. This home has been meticulously maintained and you will fall in love with the vaulted ceilings, numerous windows, custom plantation shutters and wood blinds. 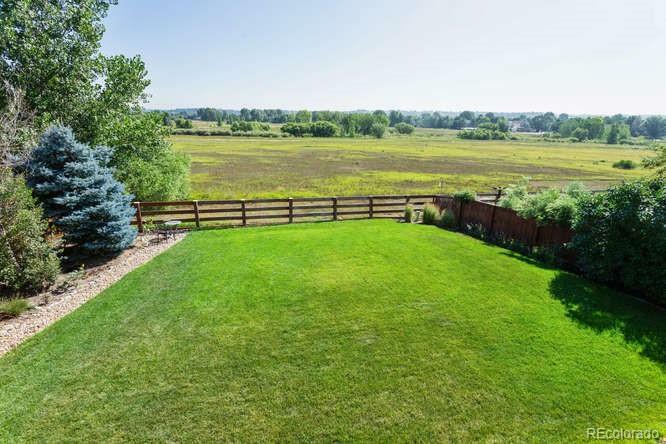 This home's full, unfinished walk-out basement provides endless finish opportunities while taking advantage of the beautiful open space views to Stroh Soccer Park and Cherry Creek Trail System. This home has a new roof, located close to schools, walking distance to trails and parks, has a south facing driveway for quick snowmelt in winter and has the perfect location in a cul-de-sac and backing to open space! !